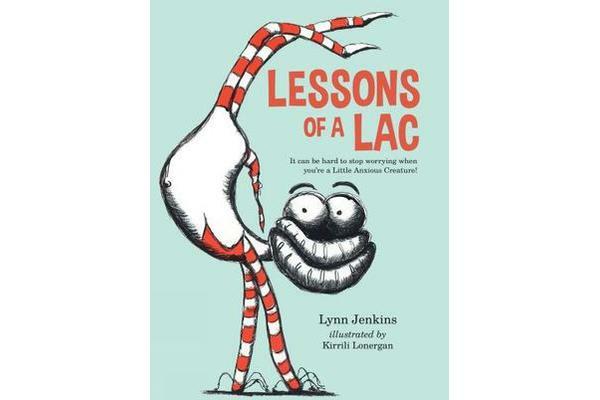 Lessons of a LAC - It can be hard to stop worrying when you're a Little Anxious Creature! An essential resource tool, in an engaging picture-book format, to help children manage their worries and anxieties. Loppy is an LAC, or ‘Little Anxious Creature’. He always focuses his attention on what could go wrong and can’t seem to stop worrying. Curly the Calmster is just the opposite, and gently encourages Loppy to think differently about his worries. Along the way, Loppy (and the reader) are given simple, effective ways to reframe their thoughts and learn the right words to reassure themselves when they’re feeling anxious or worried. After all, just because bad things might happen, that doesn’t mean they will. The result is an engaging picture book that gives readers a unique way to think about their worries and other feelings they may associate with anxiety. Having an understanding of their anxiety or ‘worry feelings’ gives them empowerment. Learning that there is an alternative to worrying all the time gives them relief. 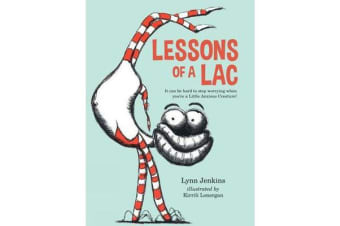 Lessons of a LAC is the first book in the Lessons of a LAC series. This gorgeous series, by an author and illustrator who are passionate about giving children ways to think about and manage common emotional difficulties, is a valuable resource for every child to help guide their emotional development.